The Student Guides in Physics project is one of the long running projects at Sci-Tech network, 17 years. The endeavor of this project is to increase the number of students learning physics at an accelerated level in high-school. Through the help of student guides who have been trained for this task, students in junior high school are experience hand-on physics such as experiments and taking a view of their world via physics: physics in an amusement park, physics in sports, physics in toys, and more. 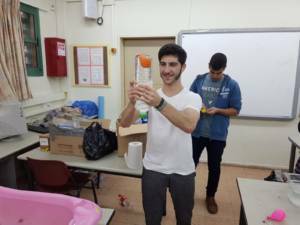 This year, the project was added to the projects database of the Ortov department, supervised by Lior Kovach, through a combination of the two main goals of the Sci-Tech network: the values and science & technology. 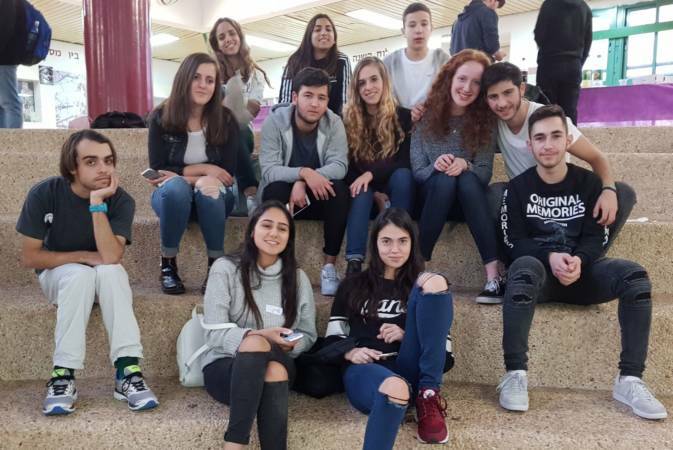 During the Hanukkah vacation, 116 students in 11th grade, from nine schools participating in the project, were trained and given tools for guiding and leading groups of 9th-grade students. caption on video: What’s the connection between physics and the Debka dance?